tell Congress to stop this bill now! I am writing to you as a voter in your district. I urge you to vote "no" on cloture for S. 968, the PROTECT IP Act, on Jan. 24th. The PROTECT IP Act is dangerous, ineffective, and short-sighted. It does not deserve floor consideration. 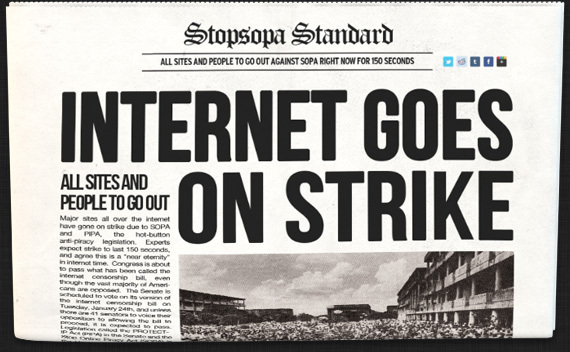 I urge my representative to vote "no" on SOPA, the corresponding House bill. Over coming days you'll be hearing from the many businesses, advocacy organizations, and ordinary Americans who oppose this legislation because of the myriad ways in which it will stifle free speech and innovation. We hope you'll take our concerns to heart and oppose this legislation by voting "no" on cloture. Fight for the Future is a non-profit organization fighting for people's freedoms in a new digital age.